An initial consultation is where we begin. Here we discover your vision and understand the goals you want to achieve. We view our relationship with each client as a long-term proposition that may span over several years. Specific questions, across multiple design elements, are discussed. This allows us to gain the clarity we need to begin shaping the grand vision of your dream project. By the end of our visit, you will be able to make the decision to move forward. 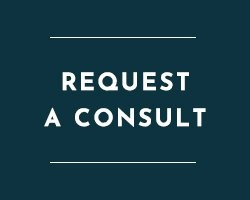 based on the time and budget estimations shared, and perhaps, most importantly, your confidence in Nicole Arnold Interiors. We are driven to create interiors, so precisely suited to you, that spending time there is not just what you want, it’s what you crave. Whether you’re entertaining friends, relaxing with family, or simply spending time alone in easy solitude, designing a home that lets you be your best, and give your best, is the motivation behind doing what we do at Nicole Arnold Interiors. We believe in enhancing the quality of life of every client whose interiors we design. Our process is part discovery, part intelligent application. We apply them, allowing us to create homes that are full of meaning and possibility, places where our clients can live and grow for a long time.